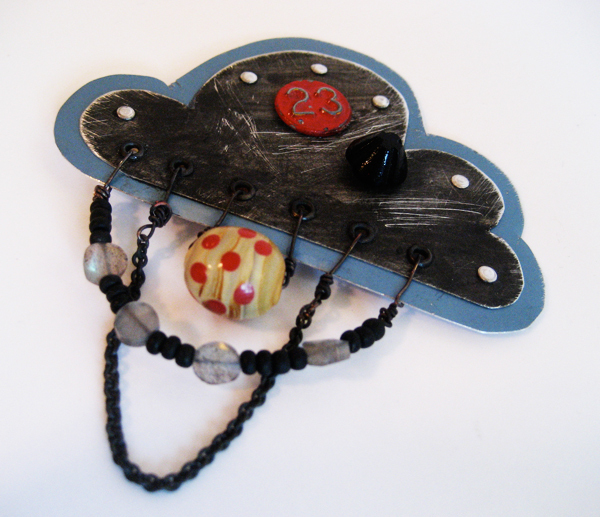 Lovely little stormy cloud brooch, entirely crafted by hand from oxidized recycled metal printer’s plates. Includes a very sweet, very vintage red number tack (#23), a black glass Victorian button, Indonesian polka-dot bead that actually spins on its axis for contemplative meditation, oxidzed chain, and beadwork with glimmering fiery natural labradorite. 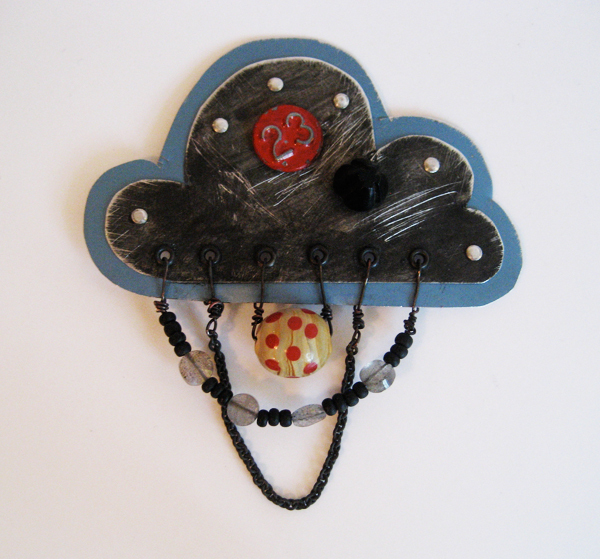 One of a kind wearable work of art; ready to ship.